Apostle Frank Fullwood is a mighty man of valor, a true visionary who walks in the purpose of God. 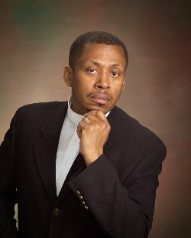 He is Co-founder of Jubilee Evangelistic Ministries, Inc., which organized and incorporated in 1992 as the parent organization for the expansion of its various ministry outreaches. Apostle Frank & his wife Pastor Sharlene faithfully pastor the Jubilee Christian Center located at 920 E. Lincoln Highway in Coatesville, Pennsylvania, since its inception in 1994. Jubilee Christian Center is headquarters for the various ministries birthed out of a burden for soul winning and outreaches into the community. J.E.M. continues to grow as it ministers to the lost through its various ministries such as street ministry, prison ministry, drug recovery program and a feeding program. Apostle founded Nehemiah Community Development Corporation designed as the economic and social branch of J.E.M. to address crisis needs within the community. He received his Bachelor of Theology & Master of Theology from The New Life Theological Seminary. He is the proud father of one daughter named Destine'. Apostle Fullwood operates in the five-fold ministry and preaches with strong prophetic and revelatory insight into the Word of God. He embraces the Apostolic mandate to take the gospel to the four corners of the world and continues to travel as an effective evangelist, teacher and conference speaker. He flows in a dynamic anointing to preach and teach the Word of the Lord. The driving passion of his heart is evangelism, which focuses on proclaiming the life-transforming gospel of Christ. His ministry's mandate is founded in Lev.25:9 & 10 " to proclaim liberty throughout the land", by preaching an uncompromised message of deliverance; to train and equip others to do the same; to raise up ministers and ministries to demonstrate the power of the kingdom with signs and wonders; to take this message of hope into every home, community and nation of the world as the spirit of the Lord leads.